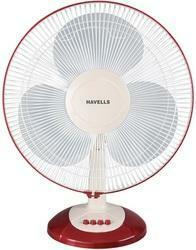 We are occupied in delivering an extensive series of Havells Table Fan. Our provided series is available in varied specifications that meet on customer’s demand. It is often small innovations that make big changes. Such is the aura of table fans from Havells. These small looking appliances deliver the best spot circulation you are looking for. Designed to be portable and focus the breeze in any corner you want, they can either be kept stationary or oscillating. 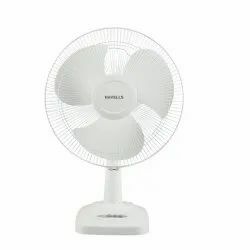 The Havells range of table fans with revolving grills circulates air over bigger areas. A gust of cool breeze to your face irrespective of where you are….A simple yet exiting innovation that lets you bid goodbye to heat and uneasiness.